I have a GREAT passion for teaching painting and prefer small classes to allow me to give my adult students the individual attention they need to thrive. Classes are two hours and held 10:30AM-12:30PM, Tuesday and Thursday at Hobby Lobby in Deerfield Beach, on Hillsboro and Powerline. Recently retired, I was a full-time certified art teacher for 32 years. I have always loved drawing and painting, and always wanted to share that love with others. I received my BS degree in Art Education from Moore College of Art and Design and an MS degree in Synaesthetic Education from Syracuse University. I have been actively exhibiting my paintings in art shows since 2001 and have received awards for my artwork. My paintings hang in homes all over the US and in Japan. I am the owner of Judy Swerlick Custom Portraits Plus where I am commissioned to paint portraits and landscape paintings. I love seeing the excitement my students feel as they make progress! I love being able to help my students overcome their challenges. It warms my heart to watch the exchange of ideas and conversations among my students. And I love to see the enthusiasm my students walk in with when class begins, as well as seeing relaxed, happy faces as they leave. Judy Swerlick knows both art and teaching, and uses that expertise to help amateur artists produce works they can be genuinely proud of. Her teaching style is relaxed and amiable, never critical, and classes are truly fun. No matter what the painting medium or style, Judy helps artists of all levels create art that exceeds their expectations. She knows what to do when you get stuck on something. She makes painting fun! After 6 lessons I feel like I have made considerable improvements. I would recommend Judy to anyone interested in learning to paint. 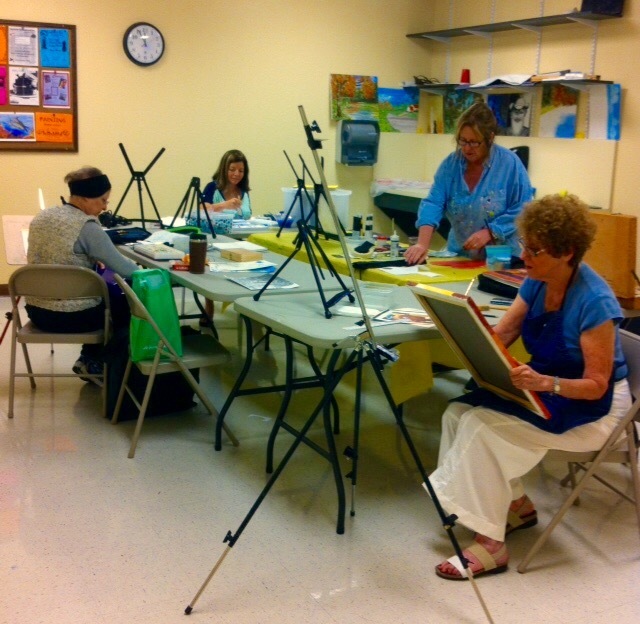 Art classes with Judy are fun and most of all encouraging to any artist beginning or returning or continuing their art experience. Judy is a talented artist and also an excellent teacher. I've been studying with her for over 2 years. She guides, helps you take your art to the next level, in a supportive and relaxed atmosphere. Her classes are great! I first ask my new student about their previous experience and personal art goals. 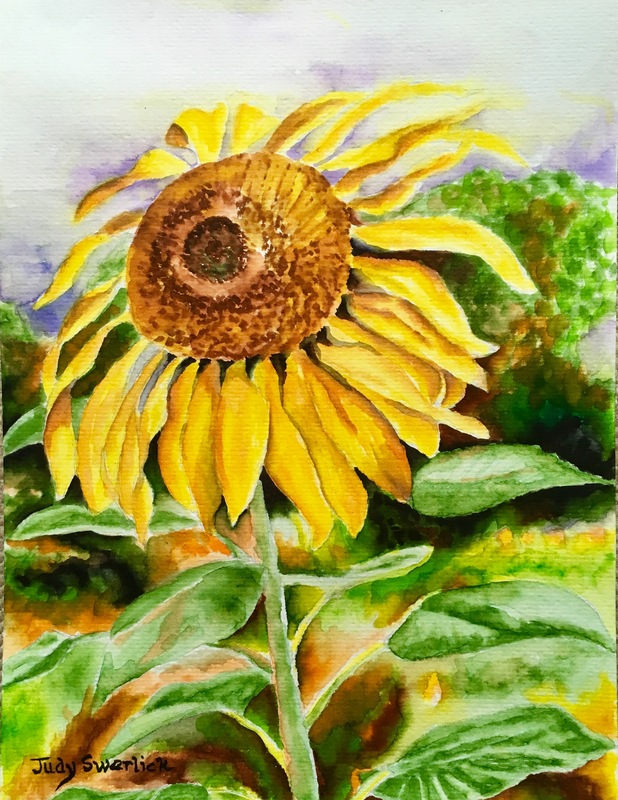 With those who are just starting to paint, I can begin with very basic skill building while they create a work of art, or, with more advanced students, guide them as they go through their painting process, offering assistance where they need it. I received my BS degree in Art Education from Moore College of Art and Design, and my Masters degree in Synaesthetic Education from Syracuse University, as well as certification in Special Education. My father was an artist and with his positive influence, I grew up knowing, from age 5, that I loved art and wanted to teach! I taught full-time secondary level art for 32 years as a certified teacher, four of those years with special needs students. I retired in 2014 from full-time teaching and have been teaching painting classes to adults and doing commissioned portraits and landscapes since that time! I have also been exhibiting my paintings in juried art shows since 2001, having won awards both in South Florida shows as well as in The Broome Street Gallery in New York. I charge $30 for a two-hour lesson. If students pay for four lessons at a time, they will receive a discount and pay $25/lesson. After teaching full-time art as a certified teacher of secondary school for 32 years, I retired and began teaching painting part-time to small groups of adults. I presently work with adults of ALL skill levels. My students range from those who have never painted to those who have painted for many years but love the group setting. There is a wonderful flow of conversation and sharing of ideas among all. Each person, no matter what their experience is, has lots to contribute. It is an encouraging atmosphere where all can feel comfortable and flourish! The classroom is private and we play a variety of music quietly in the background. There are many, many art and music events too numerous to list that I enjoy attending, but I am a member of Art Serve and Coral Springs Artist Guild and have participated in over 50 juried art exhibits in the past 16 years. Look for someone who is experienced, patient, enthusiastic and involved in creating her own art. Me! Students should think about what their goals are in taking art classes, what they hope to gain in skills, what type of classmates they would enjoy working with, what size class they would feel most comfortable in. Also, for example, my class is conveniently located at Hobby Lobby where it is convenient to purchase art supplies as needed. So it would be good to learn about the physical environment. Is it quiet, comfortable? Is there room for each person's supplies? My classroom is set up comfortably by itself, and only used for art classes. There is a clean up area with sink, counter and shelves in the artroom and a bathroom located conveniently nearby.